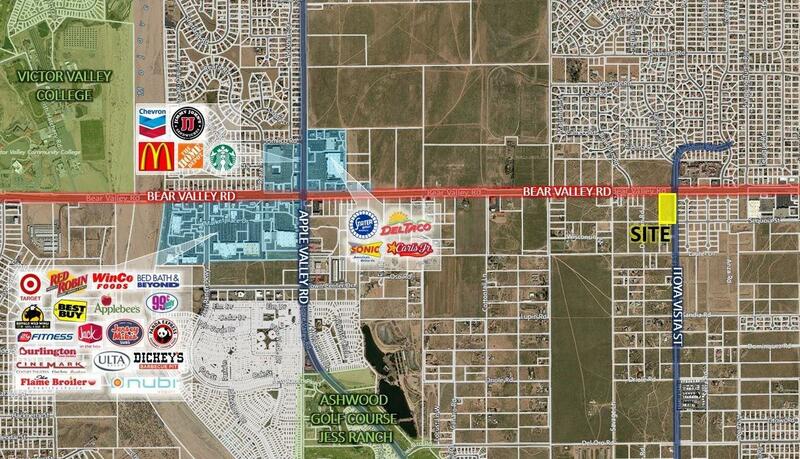 4.4 Acres vacant land zoned General Commercial. Strategically located commercial corner lot in the pathway of growth. 1.5 Miles away from the Bear Valley Rd and Apple Valley Rd one of the busiest intersections in the High Desert.